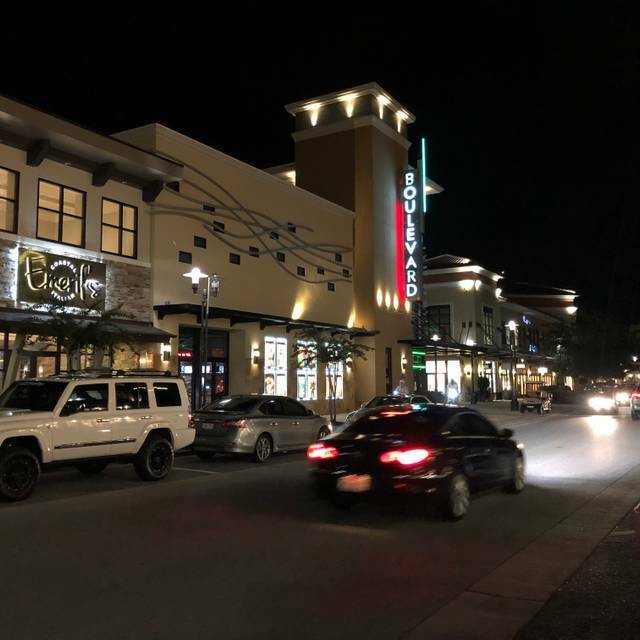 Parking is plentiful and convenient and includes store-front parking on Grand Boulevard. Had dinner on Easter Sunday and Emeril was working the kitchen. The food and service is very good. My only compliant is how pricey it was. one of our favorite restaurants on the emerald coast. We love Emeril's!!!!! This is the second Easter we have decided to have a family lunch there. The food was perfect and our server was AWESOME!!! We truly enjoyed ourselves, like always! The only let down was the constant crowd that hovered around our table. There was a large party in the area around our table and they were enjoying their meal like we were. But then some people came in that knew a couple of people from the large group and started to carry on a long and loud conversation RIGHT NEXT to our table. They were constantly blocking the path of the servers so we spent most of the meal hearing servers constantly saying "excuse me" as they are trying to get by with large food trays. It would have been nice to see the lead manager redirect them to a different area so they weren't blocking such a high traffic area and let everyone have an pleasant atmosphere while enjoying their meal. Amazing food and atmosphere! The service was great as well. Fabulous experience. Food, atmosphere and service top notch! Valton was a terrific server! I could not believe Emeril was in the kitchen! That made my birthday SO special. I cannot wait to go back. High class restaurant that will settle for nothing less than 5 star service. 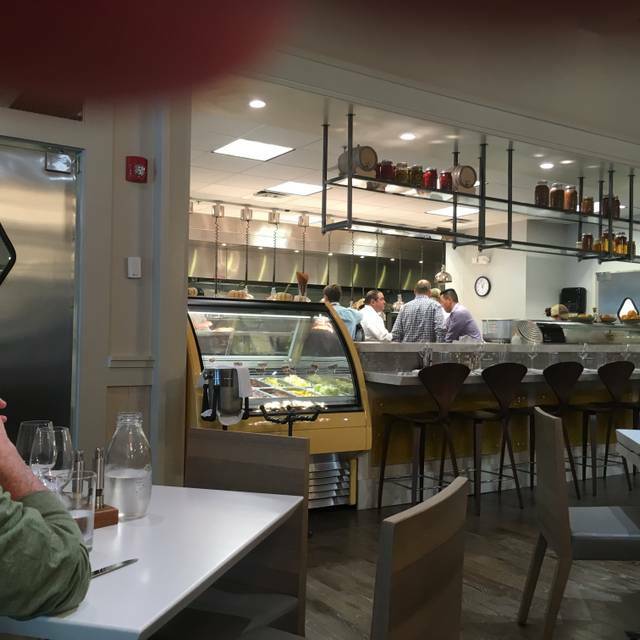 The food Emerill's coastal Italian serves is amazing!!! The menu has great options as well as the nightly specials. Prices are very reasonable. You wont go wrong here. Oh and Emerill is in the house often. Food was outstanding , Emeril himself was in the house! Outstanding as usual. 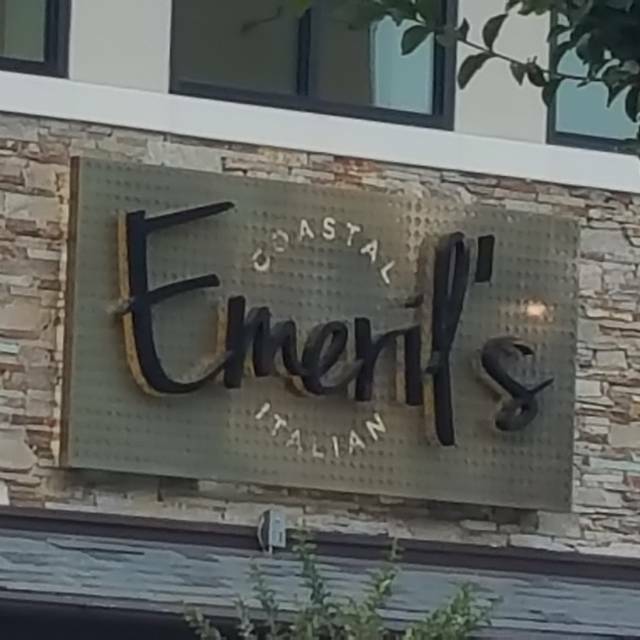 We have dined at numerous locations but Emerils in Destin is the best! My friends each loved their food. Mine was supposed to be vegetarian but, as the waiter learned after I tasted it, the broth was pork-based. We sat outside and the atmosphere -- and temperature -- were quite nice. Unfortunately a couple of ladies came in with their dogs, one of whom barked almost non-stop. The service and the wine were both very good! Good food, but not up to the standards of Emeril’s New Orleans restaurants. Excellent cocktails. One of the best values in the area. Lovely meal and we were treated quite well despite having a 5 and 2 year old with us. 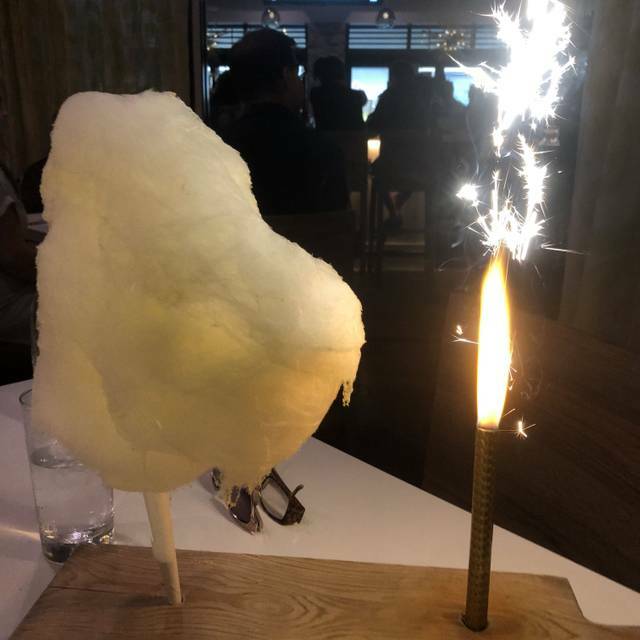 The only small complaint I have is that it was the 5 year old's birthday and we were really looking forward to the sparkler that usually accompanies the cotton candy. He didn't miss it since this was his introduction to cotton candy, he was in love! Thank you for a great experience! In terms of food quality, service, ambience one of the best..
Was really looking forward to this place but we were disappointed. After ordering an expensive bottle of wine the waiter rushed us to place our dinner order right away by telling us “the kitchen is going to get overwhelmed soon so you might want to order now”. We hadn’t decided yet what we wanted and we wanted to enjoy a glass of our wine first. We have never had a waiter tell us to hurry and order because the kitchen can’t handle the dinner rush. I ordered Fettuccine Nero which has crab in it. It had maybe 1 tablespoon of shredded crab. Husbands Bronzino was okay but the side that came with it was advertised as squash, cauliflower and radishes. Be prepared for very, very little squash and cauliflower and a whole lot of big radish pieces. 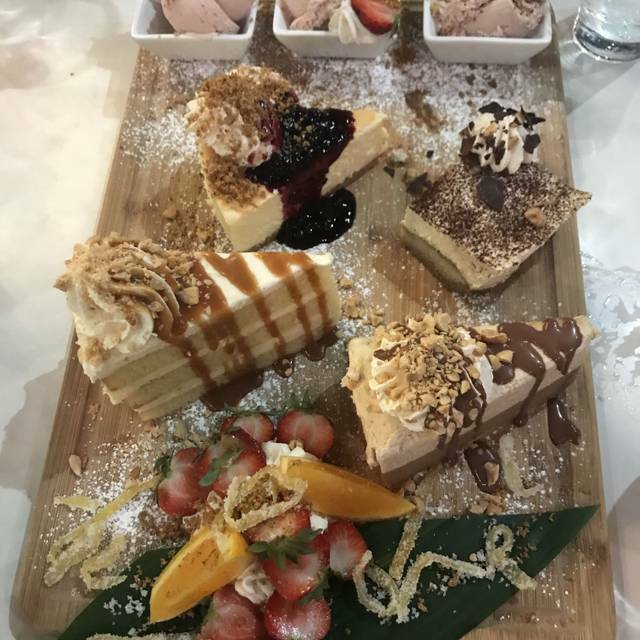 Our waiter was in such a rush to turn our table over that he didn’t even ask us if we wanted coffee or dessert. Just get us fed and get us out so he could get another table. We were not late for our reservation, in fact we were early. There were plenty of empty tables when we left. We didn’t linger. Food is expensive but not worth the $200 we spent and they don’t even give you a few crusts of bread to nibble on while you are waiting. Beautiful restaurant with excellent service. The flatbread was outstanding. Would definitely recommend this restaurant and will add to my list of favorites to visit when in Destin in the future. They surprised us with a sparkly firework and cotton candy. That was so great and they made it extra special. Server was excellent, food great, atmosphere relaxing. Had the snapper...very good. The squash side is excellent. Our reservation was for 7:30 and we did not get seated until 7:50, but another couple walked in the door while we were waiting and were immediately seated at a table for "four." We had a bad food experience as our waitress told us about the special of a THREE (3) pound flounder with crabmeat on top - and said that two people can split it. My husband and the other man we were with said they would split the flounder. There's no way that flounder was 3 pounds and very little crabmeat, if any, in the butter sauce. All for $80.00! Yes - $80.00 for one flounder and both men left the restaurant still hungry. Unbelievable. The waitress should have let us know that the flounder was not big enough for two men - especially when it obviously did not weigh 3 pounds. My husband and I and the other couple are from Mandeville, La and we were very disappointed in the restaurant and we will never go back there again. I called the manager the next day just to confirm that we were properly charged as I could not imagine that one flounder would cost $80. Oh - it did have a small bowl of brusell sprouts with it. Also had a butter sauce in a little pitcher with very little, if any, crabmeat in it. I guess Emeril, himself, must have caught the fish??? So sad that our dining experience with our friends was so disappointing. Our friend has cancer and we wanted to treat her to a nice dinner. Also, I told the hostess that it was my friend's birthday. Guess what? She forgot and my friend did not receive the celebration that Emeril's brings to your table when you have a birthday. 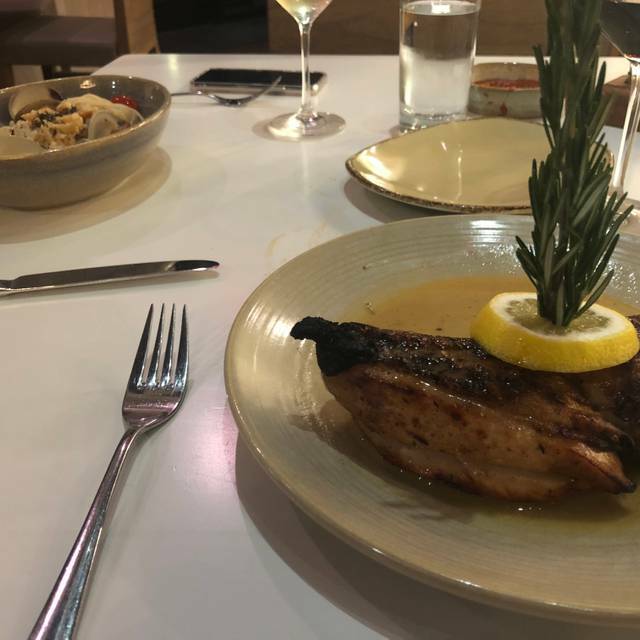 Bad, bad dining experience - the whole way around. 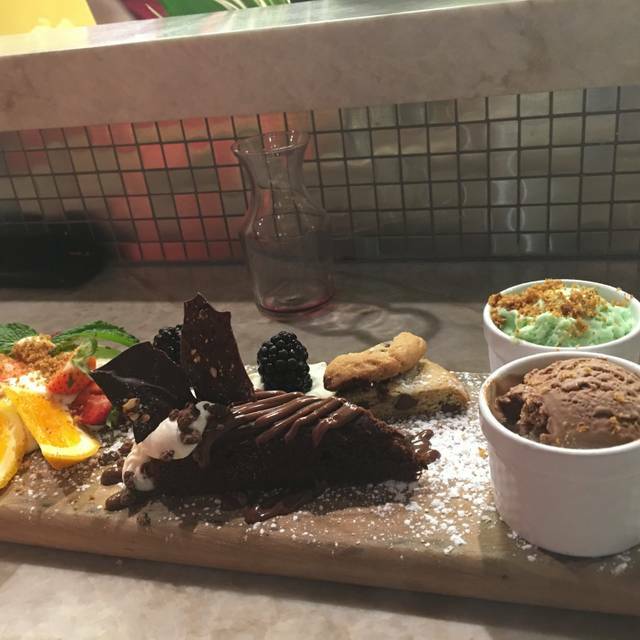 Wonderful atmosphere - amazing staff - delicious food! Always consistent. Always on point. Great food in a comfortable atmosphere. The environment was very nice but it took forever to get our food. We waited over an hour. I’m not sure what was going on. The server was extremely attentive, helpful and apologized. The stuffed mushrooms were great but the avocado bruschetta wasn’t. It was guacamole on bread, not even toasted. I ordered the special, which was the halibut. Unfortunately it was just OK and a bit over cooked. My husband ordered the lasagna and said it was great. We will come back, but next time we’d order the small plates. That seemed to be what a lot of people were doing. Food and service were outstanding! And Chef Emeril was there! Great time was had by all!!!! Absolutely amazing service!!!!! Food was outstanding!!! Can’t wait to go back! I made a reservation for eight people. It was a very busy night and I think for that number, a reservation was essential. We were pleasantly greeted and seated promptly. I had requested a round-table, if available. We had a lovely round table next to the windows. Apps, drinks, entrees, all good. The bill identifies the server only by the number 202, but I believe her name was Brin. Even though she was extremely busy, we received excellent, flawless service. I had selected the restaurant, and all of the diners in my group gave a hearty "thumbs up." 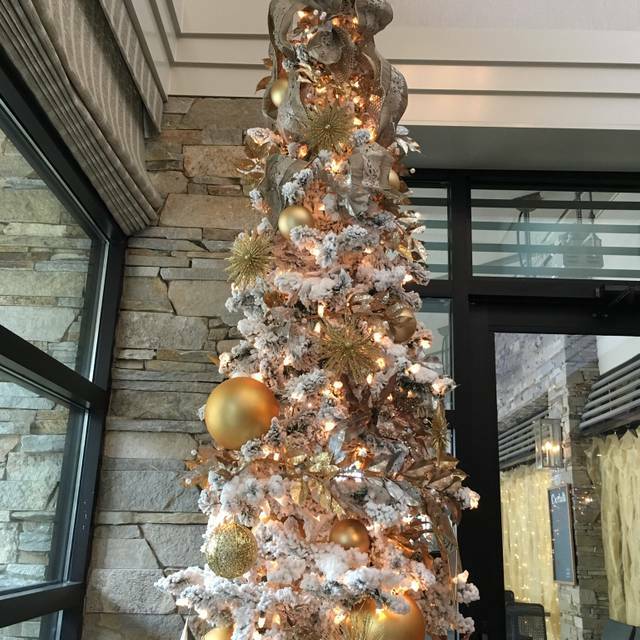 Emeril's is upscale, but with a fun, laid-back vibe. You can feel comfortable ordering a full meal, or just drinks and appetizers. Daughter is in Army and met there for the weekend. Hadn’t seen her a while. We all loved the food. Lots of great foodie items to choose from. One minor negative-wine choice. Maybe it’s me. The food is fabulous. Waitstaff is amazing. Our favorite place in town! A must on your bucket list. We shared the specially prepared flounder recommended by Emeril himself. Incredible dish. Who knew you could eat the cheek! Too bad the cheek isn't bigger. Thank you Open Table for seating us at the counter 6' away from Emeril as he oversaw the choreography of the kitchen. A delight to take in the mastery and execution. Thank you Emeril for your personalized attention. We had a marvelous experience at Emeril's. The red snapper was delicious, and Emeril was in the kitchen! We will certainly be back during our next visit to Sandestin! Lasagna was great but the snapper with a good flavor, was overcooked and dry. When asking server for some kind of sauce, my guess is she forgot because about the time we finished dinner she returned saying the only sauce they had was spicy (without asking if we cared about spice)! We had an amazing dinner at Emerils! We ordered multiple appetizers and a very seafood-heavy dinner. The fish and the scallops were light and fresh and seasoned to perfection. One of our party had the pork chop and it was amazing. We had a cheesecake special for dessert - lemon blueberry - and it was incredible. The prices are shockingly reasonable for this area and the atmosphere is light and clean. See if you can get a seat at the kitchen counter - Emeril was in the kitchen when we were there and it would have been amazing to watch him! Food was excellent. Emeril was in the kitchen ! Very good value . 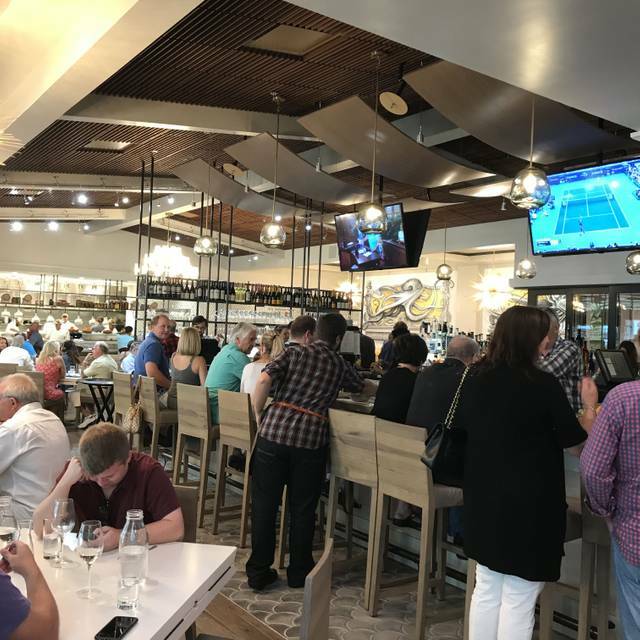 We love Emeril's, it is our GOTO place with family and friends, would not hesitate to recommend, And bonus this week, Emeril was in the kitchen!! Very good meal while on vacation. Probably the best we had in the Destin area. Great experience. I would highly recommend this restaurant to anyone.